Hooray! I have a Friday finish! This is a birthday gift for my sister. If you are my sister “avert yer eyes!” 😉 I’m pretty sure she doesn’t read my blog too often but I could be wrong. Here it is all fresh and crinkly from the wash. The pattern I used is “Butterfly Effect” from the book “Fabulously Fast Quilts” by Amy Smart. I like this quilt! The fabrics are so bright and colorful and your quilting add a interesting layer. You were right in quilting three petals per section…that probably made it easier to to be consistent, but still, it's a job well-done. It's always difficult to hand-quilt and be consistent. Those flowers compliment the quilt beautifully! She's going to love it! The big quilted flowers are perfect…very potent! Thank you so much for your lovely comment on my blog. 🙂 I wish I could hand quilt! I have not managed, in my twenty years of quilting, to hand quilt a whole quilt! I did hand quilt a couple of baby quilts though. 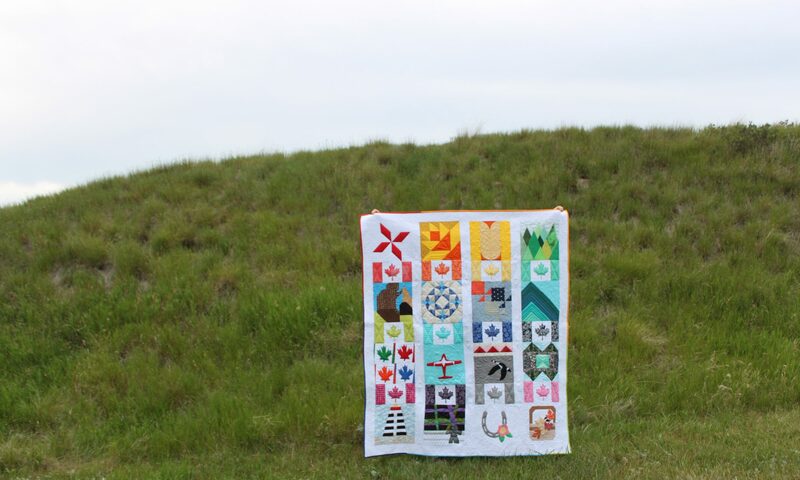 It's a skill to master on my quilty bucket list. Hi Jayne! Ha ha! Yes, it's pretty potent. 😉 I can't wait to give this to her. One happy sister in the wings. Beautiful colours so powerful. Love it. Previous PostPrevious 5 Things I Wish I had Known About Pinterest Way Before Now!